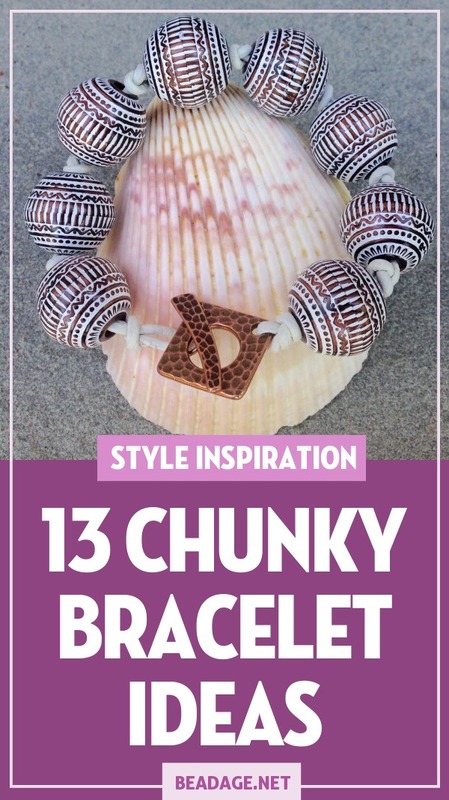 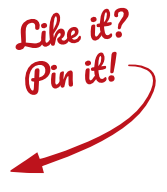 Chunky bracelet beading and jewelry making ideas for you to explore! 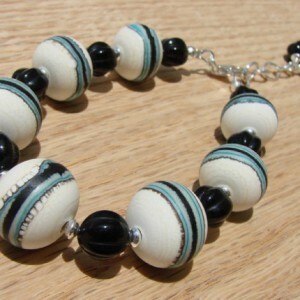 I used eight 19mm round acrylic bronze and white beads, and strung them on white leather, knotting the leather in between the beads. 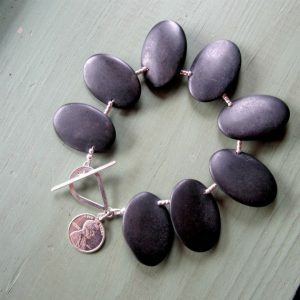 I used a bronze TierraCast toggle clasp. 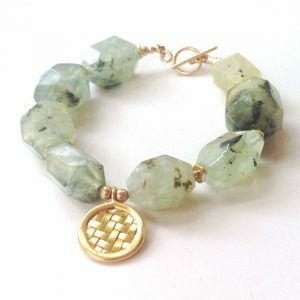 I hardly ever name my pieces, but when this bracelet was completed the name came to mind immediately. 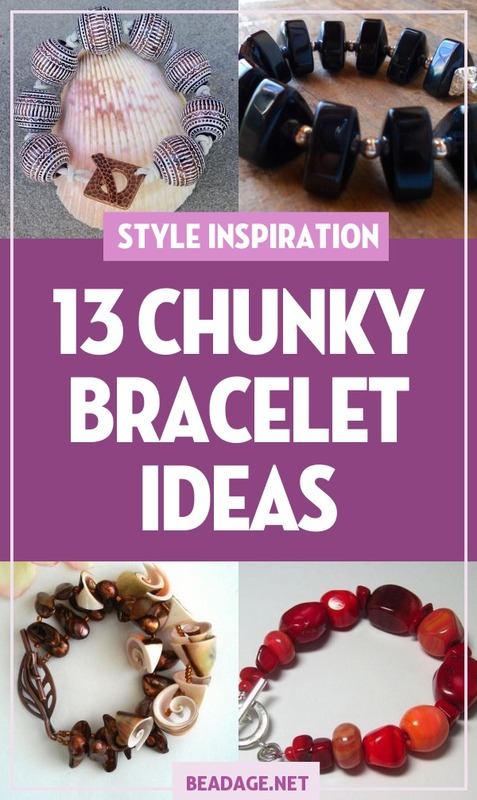 Length: Approximately 7-1/4″. 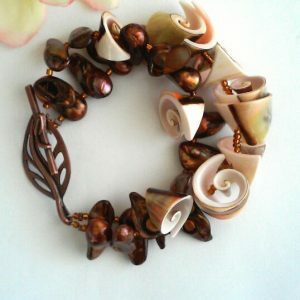 I am often inspired by my surroundings and living in South Florida definitely had an effect on this one. 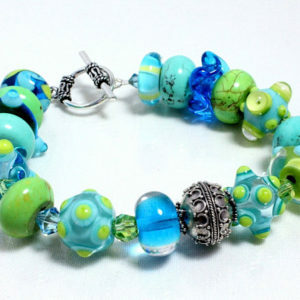 The handmade lampwork focal was made by me in my home studio in Pompano Beach, FL of Italian soft glass. 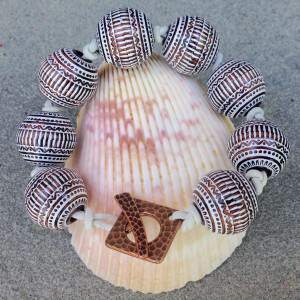 The bracelet is accented by shell chips and sterling silver. 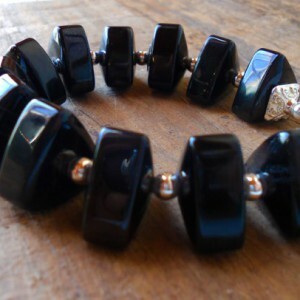 This bracelet is made with beautiful faceted onyx beads and Swarovski crystals. 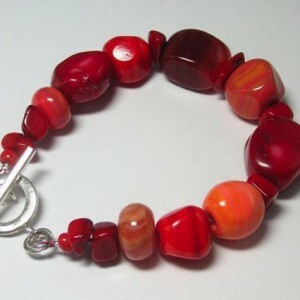 This bracelet ends using a heart shaped sterling silver toggle clasp. 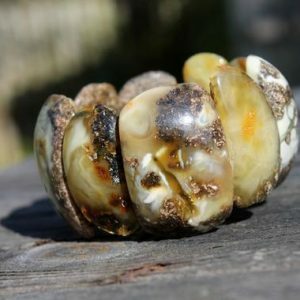 Bracelet is 8″ in length. 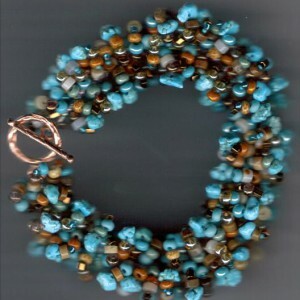 A Catapiller braclet woven with seed beads, turquoise, and agate. 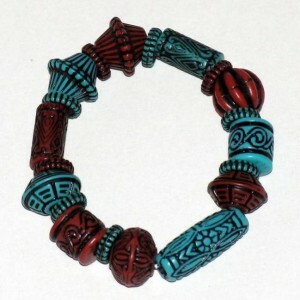 This bracelet is made of multiple strands of bugle beads. 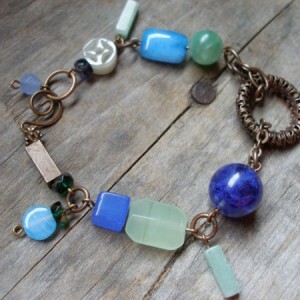 It uses a multi-strand clasp to finish. 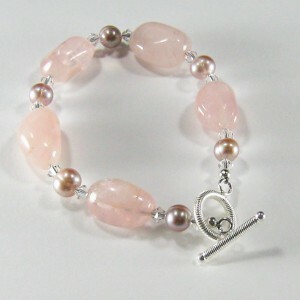 This bracelet is made using rose quartz nuggets, 4mm Swarovski crystal bicones, and cultured freshwater pearls. 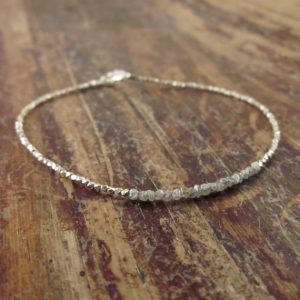 This bracelet ends using a beautiful sterling silver toggle clasp. 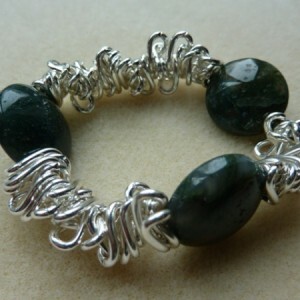 Bracelet is strung using .019 Soft-flex beading wire. 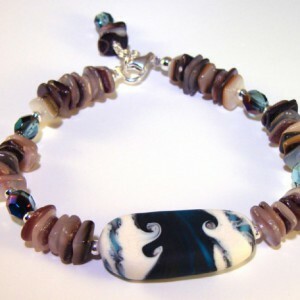 Bracelet is 8″ in length.